0% APR for balance transfer for 12 months. You can find different reward options with different tiers on this card. You can check the rates table below to see more. No annual fee for the 2 tiers. Purchase % Balance Transfer APR is fair. Rewards & cash back rates could be better. They are generally below the average rate. You need to pay for accelerate your earnings tier. You will pay extra 2% cash for foreign transactions. 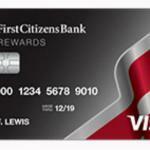 First Citizens Rewards Visa Card has 3 different tiers. You can get cashbacks, rewards points or 50% more rewards points with those tiers. You can select one of those programs while you are having the credit card. All APR and fees are same for those tiers but only type of rewards are different. Earn Rewards: Earn rewards is one of those tiers of the credit card. You can 1 reward point per $1 purchase. No annual fee. Unlimited Cash Back: You can earn 1% cashback for every purchases with this tier. You can redeem cashbacks to your saving account. No annual fee. 12.99% – 23.99% balance transfer and purchase APR is at fair rate. However if your creditworthiness is not good, the maximum rate is a little bit high. Cash advance fee is a little bit high for this card. 3% balance transfer fee and 3% cash advance fee is very good. You will need to pay 2% more for every foreign transactions. Accelerate Your Earnings: $50 2% $38 $5 or 3% 23.99% – 26.99% $5 or 3% 0% APR for first 12 months. 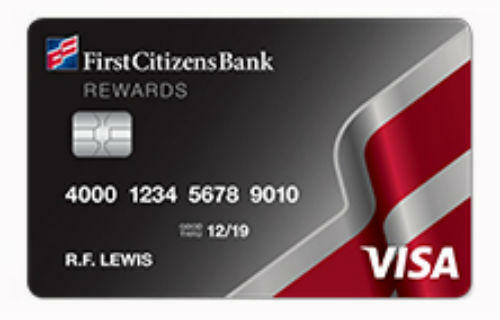 You can find some similar cards to First Citizens Rewards Visa Card below and user reviews.